Check out Lilah’s reaction to her owner’s 5 day absence. So happy! 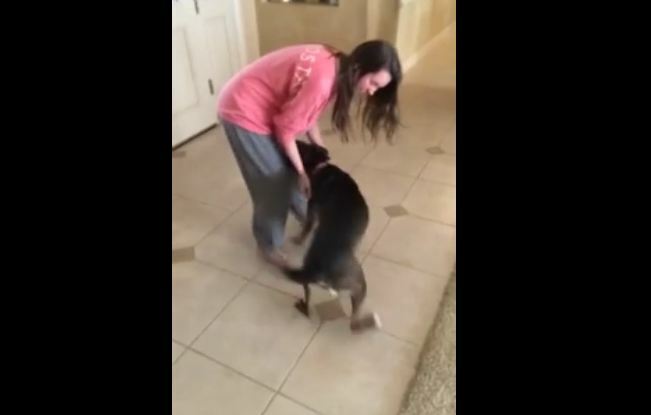 Dog ecstatic to be reunited with owner.